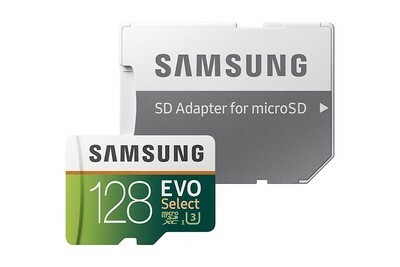 The Samsung 128GB EVO Select microSD card is down to $36.99 on Amazon. That’s the lowest price we’ve ever seen by $3 and $8 off its regular price. This is a good deal we don’t expect will last very long. If price is more important than speed, you can also get the PNY U3 Pro Elite 64GB microSD card for just $24.99 right now. It is usually around $33, and this is one of the best prices we’ve seen. Samsung’s EVO Select microSD cards are extremely popular cards, and there’s a good reason for that. This Class 10 UHS 3 card has read speeds of up to 100MB/s and write speeds of up to 90MB/s. It works great for recording video (even 4K), as well as playing mobile games, taking pictures, and more. The card comes with a full-sized SD card adapter as well so you can put it into devices that accept SD cards instead of microSD cards. This is within a few dollars of this card’s all-time low price, so don’t miss out.